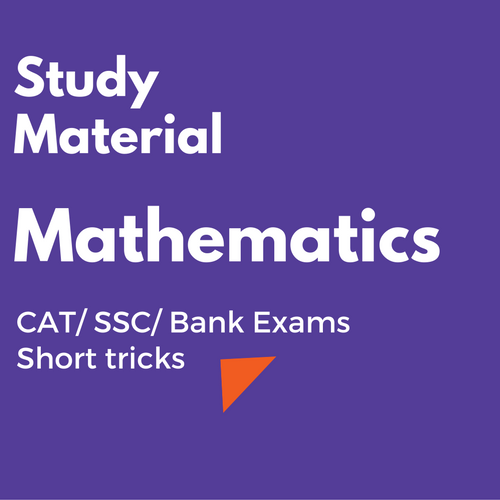 We are offering you a full package study material, Which will helpful for you in Mathematics or Quantitative Aptitude section in various exams like CAT, SSC and Bank. You can download this full package by paying us only 148 Rs. If you buy this just now, you will also get Advance English Grammer Practice E-Book by Richard Walton for free. This offer is for the limited time. So Buy Now. After paying within 12 hours you will get all pdf books and notes in your same email id which you mention during making payment. For any doubts and queries, you can msg me at Facebook Page. If you want to buy these books hard copy, you have to spend approximately Rs 1000-1500.